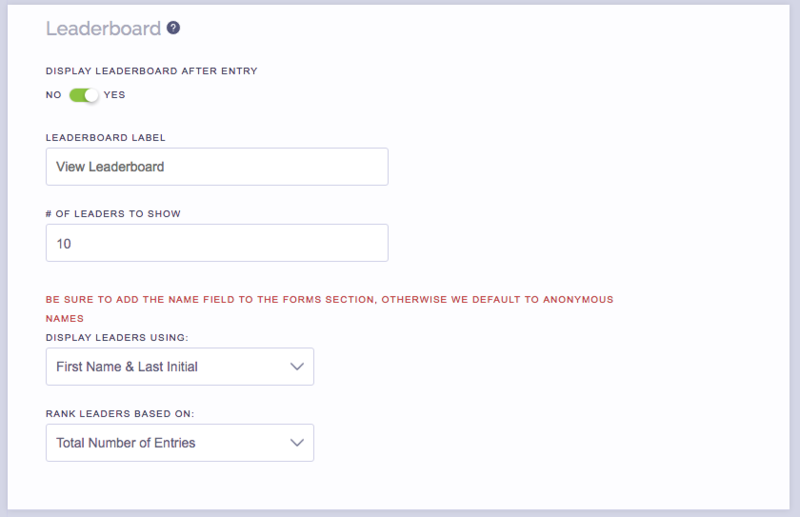 The leaderboard feature allows you to display the entrants with the most entries or the most referrals in your promotion. Simply choose how many leaders you want to show in the leaderboard, then decide if you want to display them by first name and last initial, or if you want to display them anonymously. On your actual campaign, after someone enters, they'll be able to see their rank as well as their position in the leaderboard (depending upon how many leaders you are showing). Still have questions about the Leaderboards feature Simply click the support or live chat icon to get in touch with us.